The Raspberry Pi is a complete computer system that we are using as an embedded device. We have done as much as is possible to avoid data corruption on the MicroSD card but it is important to understand that the Pi is not a traditional embedded device and that data corruption can occur. If it does, the data card can easily be re-imaged. Here is the procedure for doing so. This guide is intended for technical users who are comfortable using computers. If you believe that your data card has become corrupted and do not wish to attempt the procedure outlined below you are welcome to send the card back to Open Flight Solutions for re-imaging. Please contact us and we can work out a cross-ship so you are back up and flying as soon as possible. 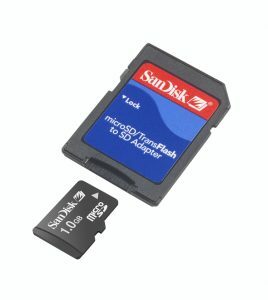 You will need either a MicroSD slot on your computer, an SD card slot and a MicroSD to SD adapter, or a USB MicroSD card reader / writer. If you have a USB 3.0 slot, find a USB 3.0 card reader – it is much faster than USB 2.0. 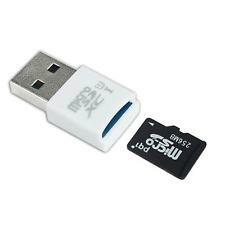 You can buy a compatible card reader online or at most electronics stores for less than $10. First, disassemble the FlightBox being very careful not to damage the Raspberry Pi circuit board when removing it from the case. Be especially aware of the small parts near the end of the board. You can easily break off a component by pushing the antenna bulkhead connector back through without guiding it. Go slow. Be gentle. Remove the data card from the Pi. Download the v1.4r1 image file. Unzip the file. The resulting image file is 2.2 GB. Make sure you have room on your hard drive before unzipping the file. Follow the card loading procedure outlined here for your operating system. Use the image file (.img) you unzipped in Step 4 – NOT the zip file. Once you have the image burned, please test it by re-inserting it into the Raspberry Pi assembly and powering it up. Do not reassemble the FlightBox until you know that the system is working. Follow the standard troubleshooting steps to make sure all is well (noting that with the antennas off you will not receive any 1090 or 978 data). Caution: make sure to detach or keep the pigtail cables away from the Raspberry Pi. The bulkhead connectors can short it out if they contact the traces on the board. Follow the procedure outlined in the Assembly Guide and demonstrated on the Assembly Tutorial video to carefully reassemble your FlightBox.